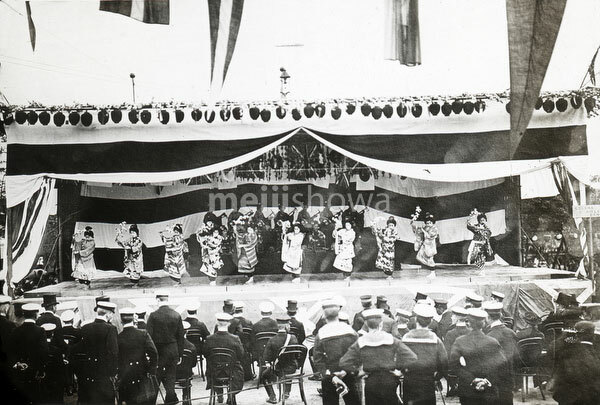 Admiral Sperry and sailors from his crew watch a geisha performance at Yokohama, Kanagawa Prefecture during the visit of the American Great White Fleet in October 1908. Between December 16, 1907 and February 22, 1909, the fleet called on 20 ports on six continents. As the ships’ hulls were painted white, it was popularly known as the Great White Fleet. The fleet’s mission was to project American military power, especially towards Japan.